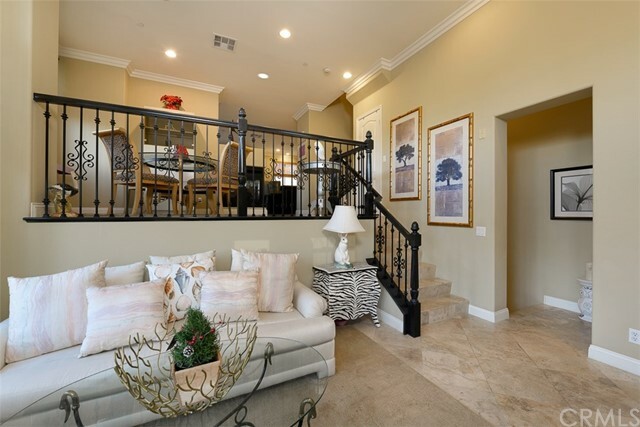 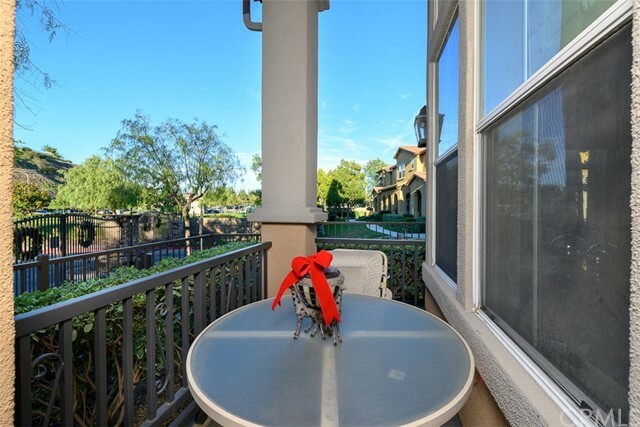 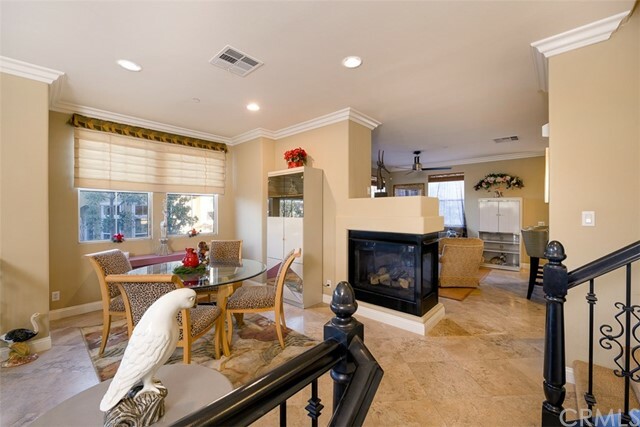 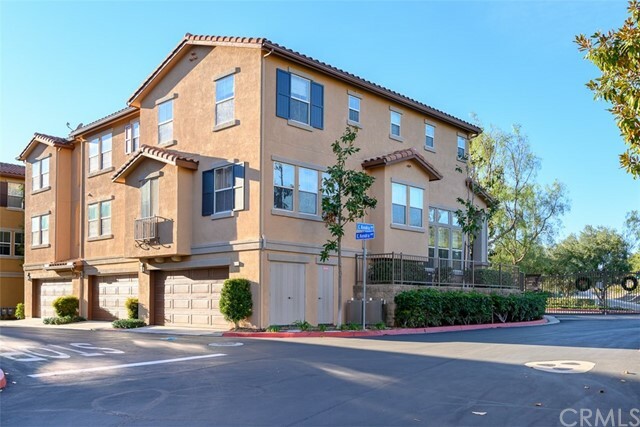 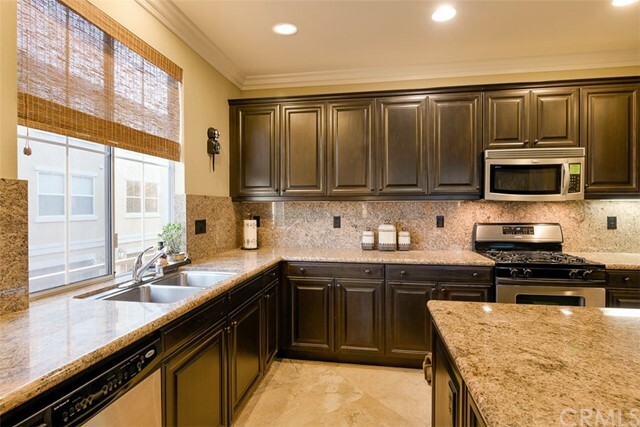 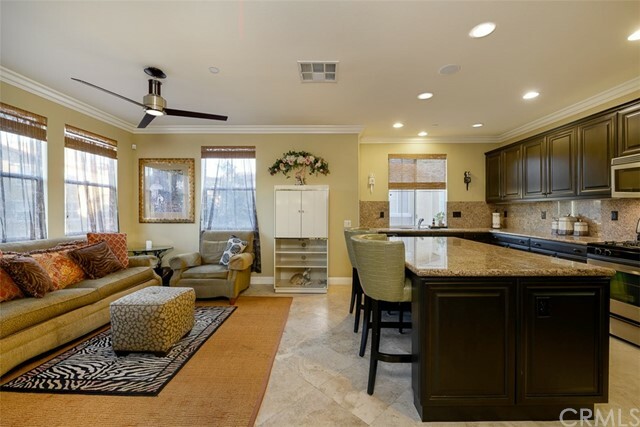 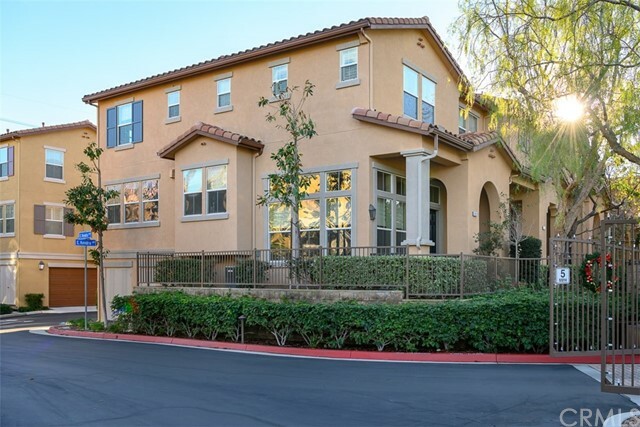 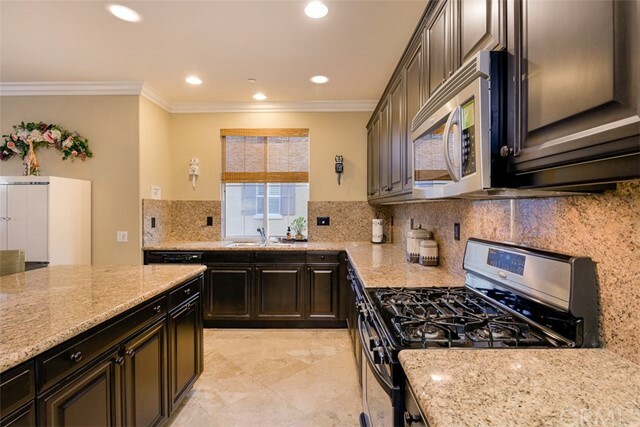 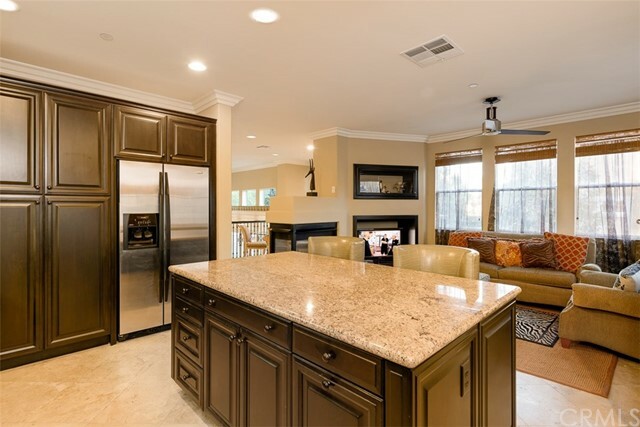 In the beautiful gated community of Tremont in the Serrano Heights area of Orange, this beautiful tri-level townhome has all the extra upgrades of being the largest original model home. 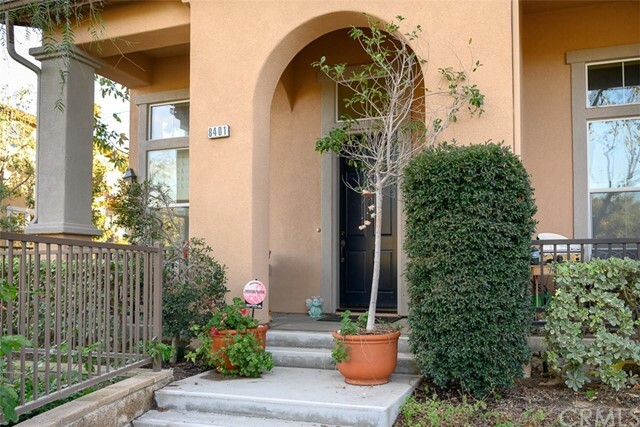 This sought after end unit has 3 bedrooms upstairs, 2 1/2 baths and lots of space. 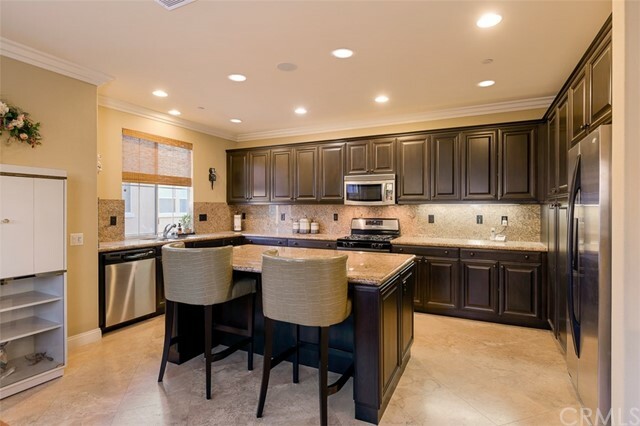 Open kitchen with oversized island and dark spacious cabinetry, and like new stainless appliances. 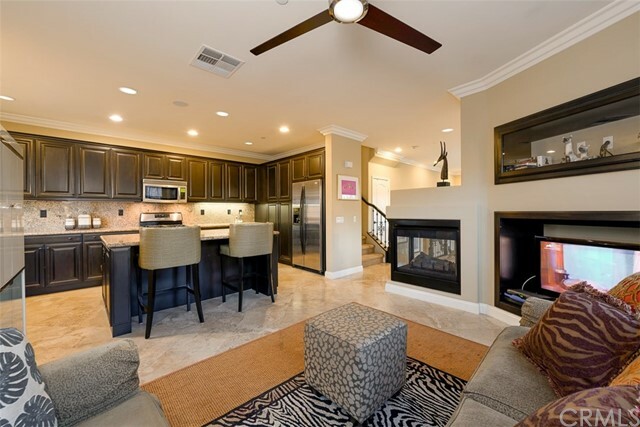 Elegant den area adjacent to kitchen. 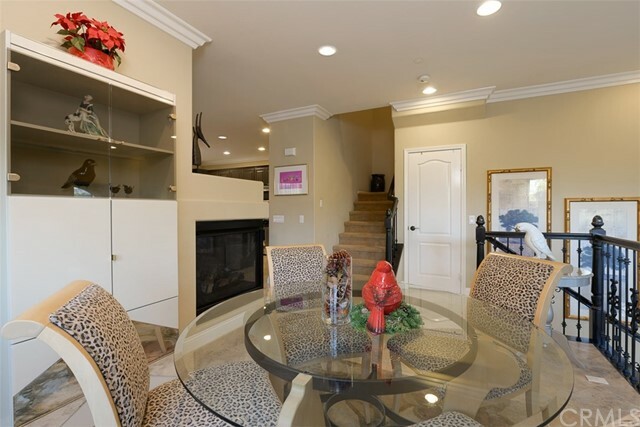 Airy dining area open to both living room and den, with cozy fireplace. 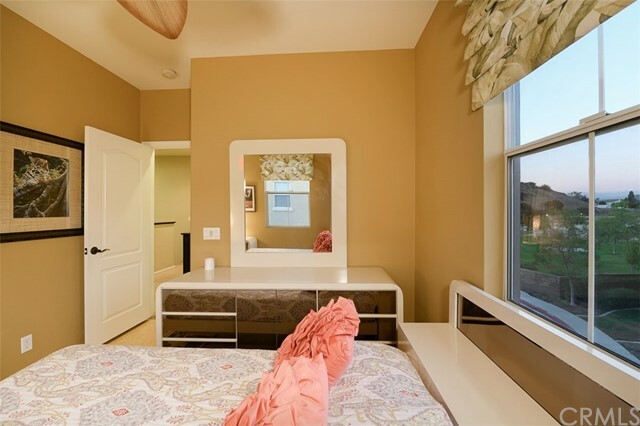 All bedrooms up, Master bedroom has crown molding and ensuite bathroom; with shower and large tub. 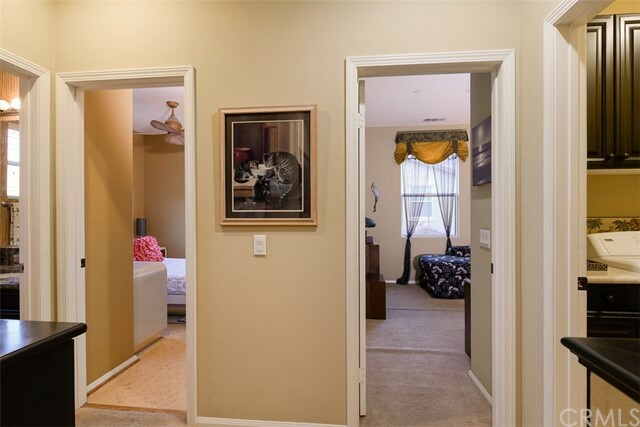 Master walk in closet has spacious built ins. 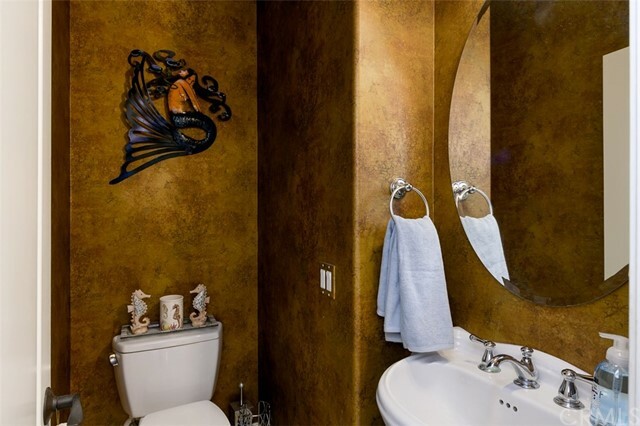 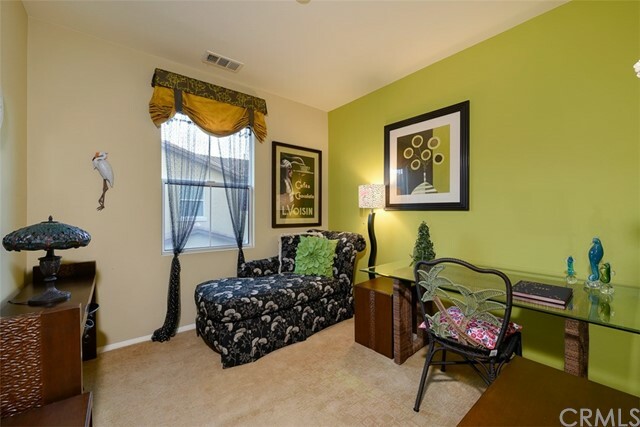 Designer paint and custom window coverings in each room. 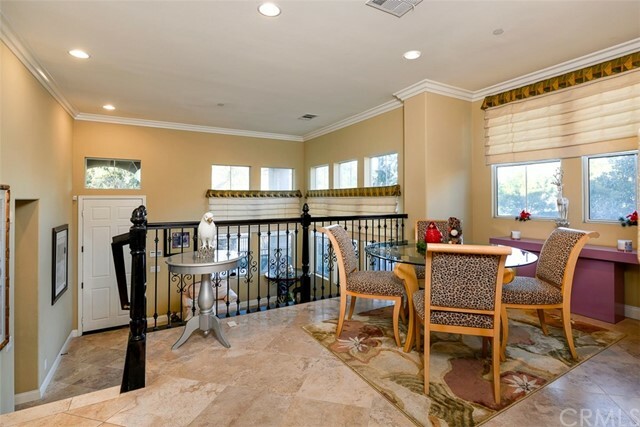 Travertine floors on lower levels. 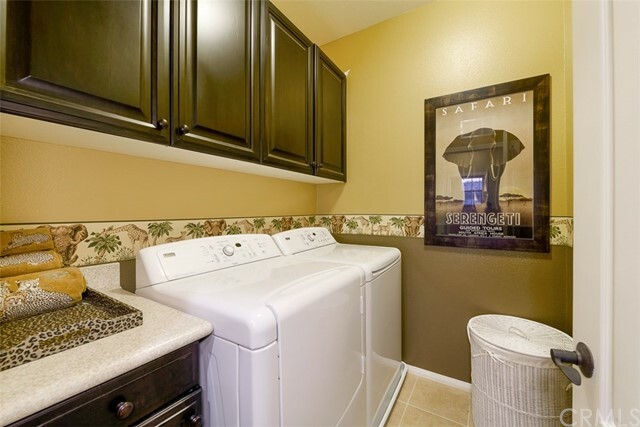 Upstairs laundry room with lots of storage. 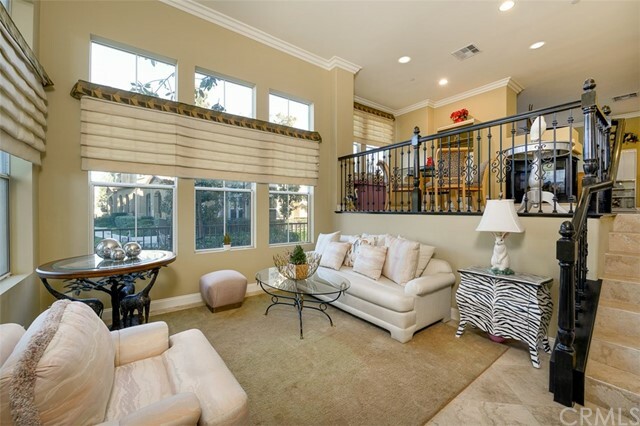 Gorgeous views of wilderness from bedrooms. 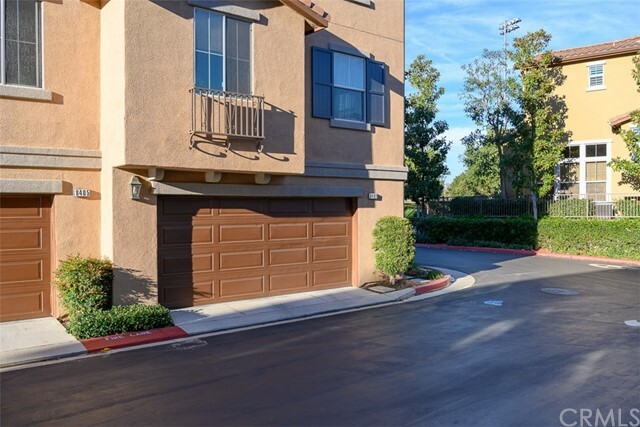 This unit is nearest to the entrance and gate and is best for coming and going. 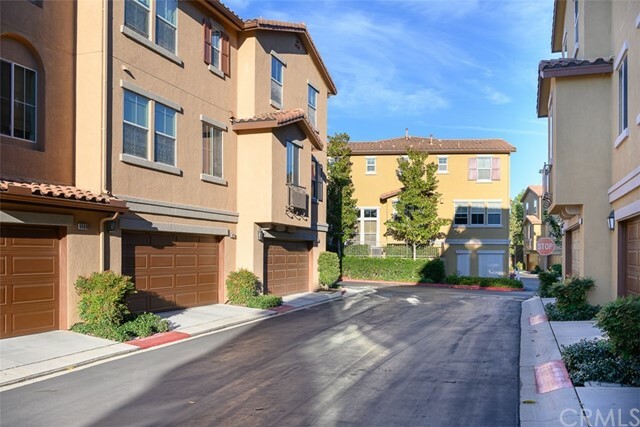 Attached 2 car oversized garage with epoxy floors. 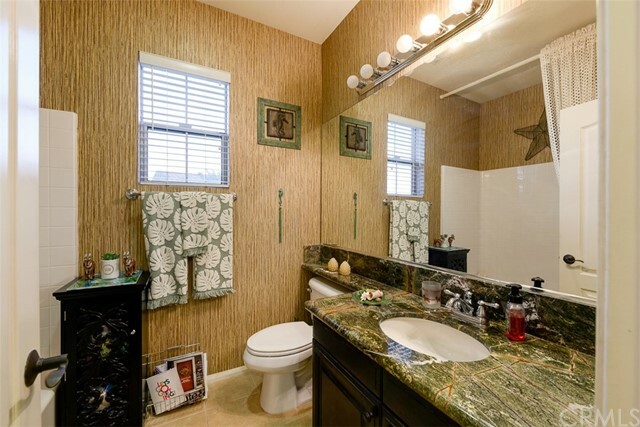 Built in alarm. 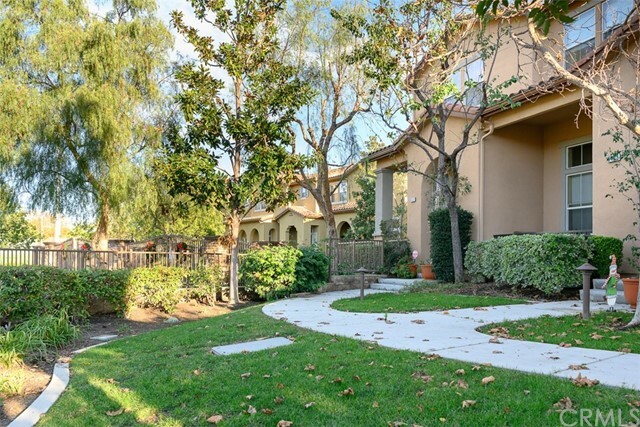 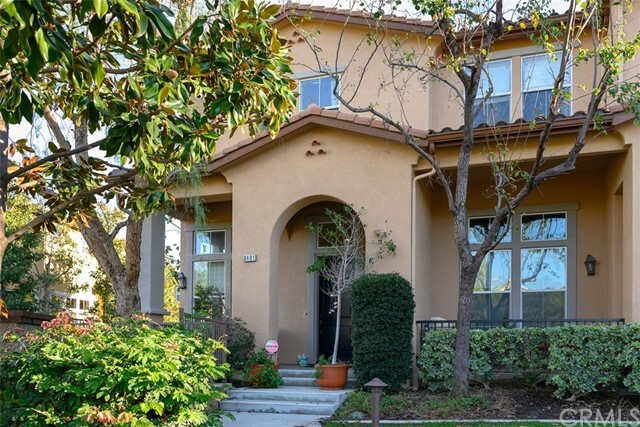 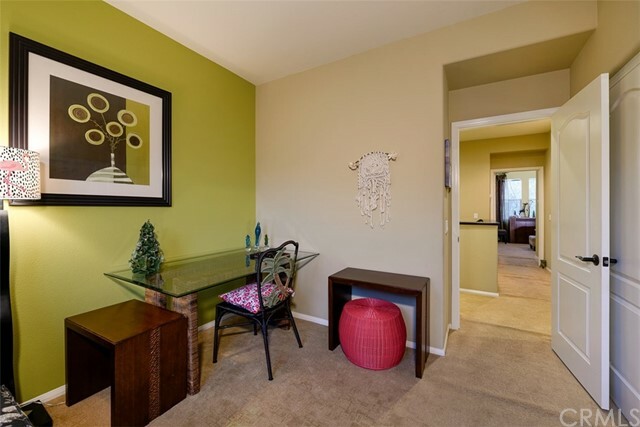 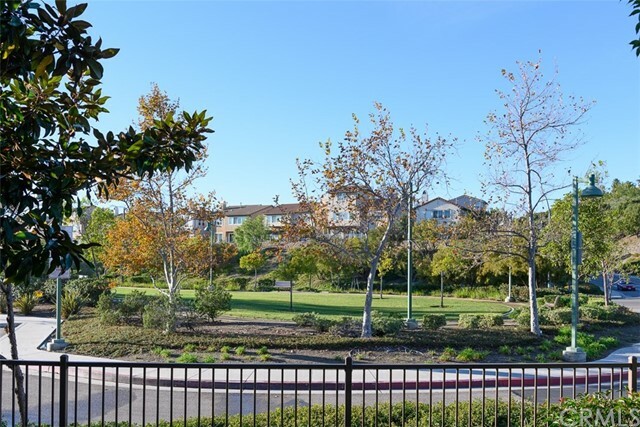 Adjacent to award winning Anaheim Hills Elementary School and beautiful hiking trails, as well as park and playground. 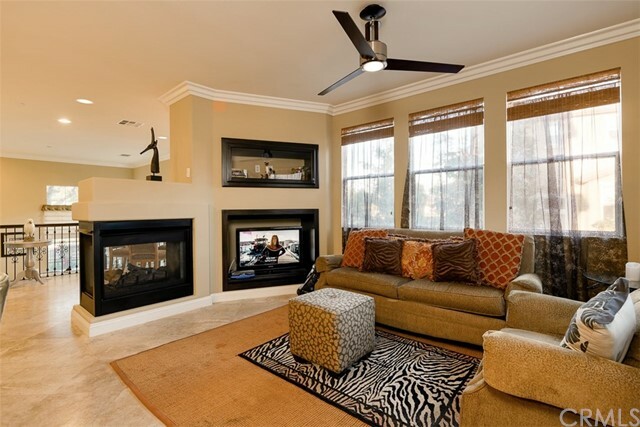 Beautiful area near wilderness and wildlife to experience and enjoy!